Spring is an ideal time to clean up your finances, clear out the clutter, and get a fresh start. Maybe you have more money left over at the end of the month and could use a budget tweak. Perhaps you have too many expenses in automatic, or it’s time to apply the brakes to your credit card spending. Whatever the reason may be, consider the following seven suggestions to get a better handle on your finances this spring season. Whether you call it a budget or a spending plan, you only need to look in the rearview mirror over the past few months and write down your repeating bills and expenses. When you inventory those expenses, assign a priority number from one to three, with one being expenses you must meet to avoid being evicted from your home and three being rather nice to have, but you could live without. Clear out or reduce drastically your level three expenses. For example, that $70 cable bill is a great candidate for your first cut. Try less expensive streaming services. That 50 bucks a month you recouped by disconnecting your cable service can now be redirected automatically to your emergency fund.1 If you don’t have an emergency fund to cover at least six months' expenses, you could literally be one or two paychecks away from disaster. You’re looking forward to that big tax refund this year. However, what you have actually done is given the U.S. Government a 12-month interest-free loan. Give it to yourself as a monthly upfront paycheck increase. Adjust your withholding for a better balance and slide that extra money into savings or another investment plan. Dedicate an hour or two to photographing and cataloging your household possessions. Concentrate on the big-ticket items like your furniture and expensive electronics. Write out the approximate amount you paid and when you purchased the piece. As you bring new items into your home, save the receipts and update your inventory. 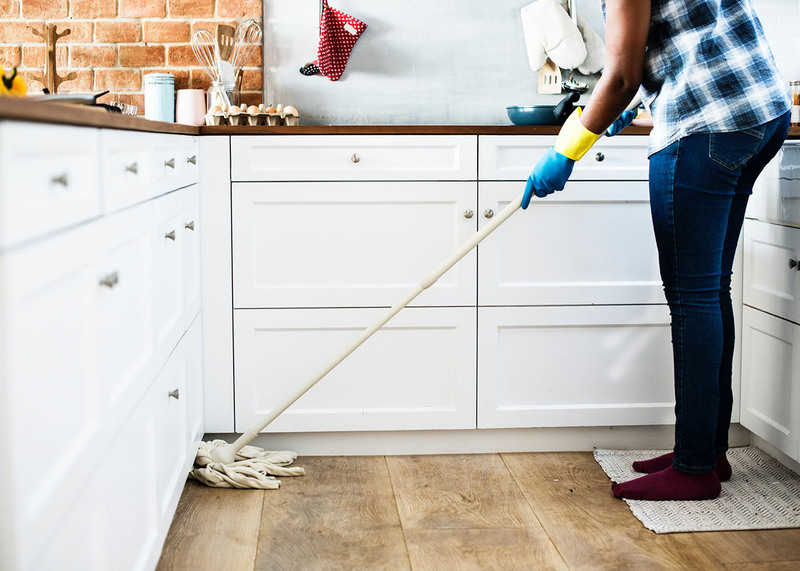 Your spring cleaning should include a complete insurance check-up. Go to your insurance files and this time really read the fine print. Is your coverage adequate to replace everything you inventoried after you followed suggestion #4 above? If you own your home, you probably know that replacement costs have risen everywhere. Make sure you're covered. Also, it wouldn’t hurt to check and possibly upgrade your life insurance, especially if your family has grown or your income has gone up. Let the free and secure technology of your online banking platform keep you on the straight and narrow. Most banking sites have the settings you need to do what you wouldn’t do for yourself. Want to receive a warning when your account balance gets too low or your credit card spending is over a set amount? Your bank can do that via email or text message. For the financial papers you must keep, devise an orderly filing system.2 If you’re after a more simplistic method, head to your office supply store and buy an expandable folder with month separator tabs. Stash the papers you usually throw away each month in the appropriate month of the folder. When January 2020 rolls around, throw out the papers for January 2019 to make room for the current month. Finally, remember that bad financial habits come from neglect and passive spending decisions. Spring is the ideal time to get back in the driver’s seat and reacquire the big picture. Clear out the clutter and do away with what is not working for you.